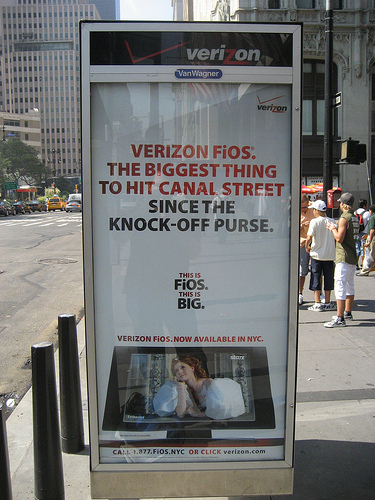 Because Verizon wants Fios to be associated with fakes? Because Disney's not quite princess Giselle dreams of not exactly legal handbags and can be watched on the small screen via a not yet installed fiber optic system? Note to advertising agency: What were you thinking? Thanks to trexfiles23 for posting on Flickr!